“We are indifferent, slothful and complacent when it comes to maintaining our privileges but when faced with adversity, the Greek community invariably rises to the occasion“. 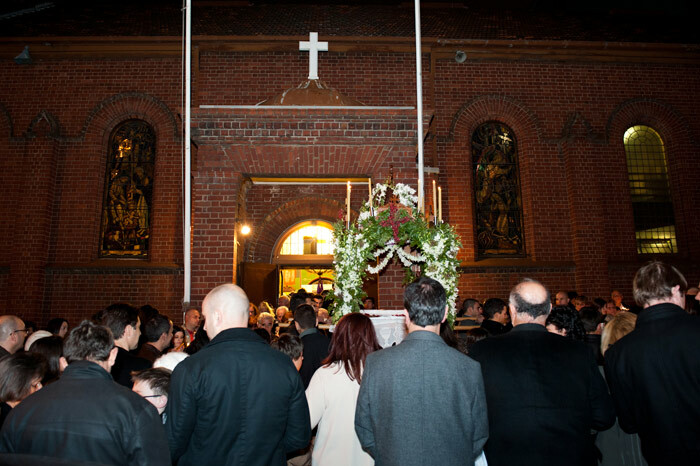 Every year, our Good Friday Epitaphios procession, which winds itself before the looming sinisterness of the Moonee Ponds branch of the Tax Office, past the local Safeway into the street behind the church, is, unbeknownst to many parishioners, accompanied by a discreet group of Assyrians. The reason for this is that, owing to the intolerance of their Muslim Arab oppressors and well founded fears of attack, the Good Friday Epitaphios procession had to be discarded and is no longer carried out. The loss of the procession is felt keenly, and the Assyrians that join our procession rejoice in the fact that, in this country at least, they are free to do so. For the rest of us, who have taken the procession for granted for centuries, it forms an intrinsic part of our identity, so much so that it is perhaps the only night in the year that even the most disengaged of Greeks will make the pilgrimage to their local church, there to clock on, as a member of the community. It is this celebration and affirmation of identity that gives the Epitaphios its unique jubilant and triumphant tone, here in Australia, as opposed to the traditional solemnity of its Greek counterpart. As such, it is a particularly Australian procession and a Melburnian institution, as is also evidenced, at least in my parish, by the number of non-Orthodox local residents who await its passage outside their homes every year, often holding candles of their own. Recent reports in this newspaper suggest that the word ‘free’ is not to be conjoined to the Epitaphios procession for much longer. The revelation that local councils can and do charge our churches thousands of dollars in order to grant permits or effect traffic management along the route of the procession has caused outrage and bewilderment among members of the Greek community. Further bewilderment has been caused by intimations that in the event of an extension of the current ‘user pays’ system, rather than pay, and in the absence of other alternatives, the procession will be dropped altogether. If the carbon tax is about taxing the air we breathe, or rather, produce, then the Epitaphios tax is about taxing the God we worship. It is a levy that casts doubt over our governmental authorities’ commitment to multiculturalism and in fact, constitutes a primary example as to how definitions can shift over time. 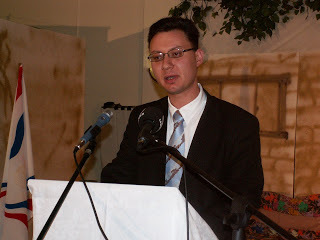 Rather than being a doctrine whereby the state actively encourages and subsidises the practices of local cultures and religions according to the belief that these enrich the fabric of Australian society, it appears on the surface that we are moving to a system where if we wish to practice those customs or beliefs, we had better be ready to pay for them. Various local councils’ uncharitable stance on this issue appears as misguided as it is insulting. Greek Australians have a high rate of property ownership and are conscientious rate-payers. Rather than creating immense good will within the local community by subsidizing the relatively small cost of a yearly religious procession that is of no more than a half hour in duration, councils would rather convert this, along with so many other practices, into a money-making opportunity. This appears to be an act of blatant disrespect towards a community that has contributed so much to the formulation of modern Australian society. Further, it is divisive and dangerous, in that it compels us to ask questions as to the extent to which the festivities of other ethnic and religious minorities are funded by councils and, should the comparison be unfair, cause unneeded friction. For example, Roman Catholic and Anglican Churches particularly amongst other Christian denominations also have similar processions; on Good Friday they have the Stations of the Cross along Elizabeth and Swanston Streets, from St Francis, to St Paul’s, and St Patrick’s, for over an hour, around midday. It is unknown to what extent these need to be subsidized by the churches themselves. One would be forgiven at being in a quandary as to how such a situation can come to pass, especially for a community that, numerically at least, here in Melbourne, is supposed to be significant. Do we not have local councillors of Greek extraction in many local councils of our city? Do we not have Greek Australian state and federal members of parliament? The answer lies not in representation in parliament but the failing structure of our community as a coherent entity. While organisations created based on one’s regional origin abound in Melbourne, few organisations exist based on the interests of local Greek residents in a given area. Where these do exist, they are generally weak, poorly organised, riven with strife, unrepresentative of the Greeks in the local community and unable to be seen by local authorities as an important sounding board with regard to the interests of the local Greeks. Add to this mix the general disengagement and non-participation of other local Greek organisations in local affairs and one can see why local councils cease to regard the feelings of local Greeks as important, on a political level, when conducting their affairs. Ange Kenos, who was a councillor for Moonee Valley, agrees: “I would have thought that a sensible organiser would have raised the matter with councils months ago. I was on Moonee Valley council and not one local priest approached me for advice or support.” At Saint Dimitrios in Moonee Valley, the procession took place without the need for payment as it does every year. It is unknown why Panagia Soumela, also in the city of Moonee Valley, did not secure a permit. This being an election year and a particularly important one considering that the current government’s hold on power is on a knife edge, it would be useful to convert this into a federal matter, with local parishioners seeking the intervention of their members of parliament as a quid pro quo. Yet again, the eternal question is raised: who will speak on our behalf and are we prepared to act as one to protect our privileges? Further, before we remain with the proverbial mud on our faces, why are we not being more proactive on this issue and attempting to secure permits on time? Whatever the outcome, one thing becomes starkly clear. We cannot rely upon our local, state, federal or even parish authorities to safeguard our cultural or religious interests ad infinitum. All these, it becomes apparent, are negotiable and are not an automatic entitlement, as many of us have been led to believe. While government assistance is welcome and necessary, if any remnant of belief is to remain in the cynically manipulated term ‘multiculturalism,’ it is our community and not just one section of it that must develop the structures and resources to protect such privileges when state patronage is, for whatever reason, withdrawn. A community that is so vast and yet cannot, if absolutely pressed to do so, raise a few thousands in order to perpetuate age old customs, is a mere parody of itself. To have to raise thousands in order to walk around the block is ridiculous. To not be able to raise it, in the absence of any other alternative and after a century in this country, is an abject failure, for which we should be ashamed. This is why the indication to this newspaper by various circles that where permits will not be granted gratis, the Epitaphios parade will not take place is deeply disturbing. We would not want this to suggest that our adherence to our traditions is proportional to the extent to which we are willing to pay for them. Furthermore, one would not wish to ask who would be consulted when making the determination that the Epitaphios parade will not take place in a given parish and when, or whether this will take place only after extensive attempts at fundraising, in consultation with parishioners and the community at large, or again, whether the decision be an arbitrary one. Finally, we need to ask how is it possible on one hand to proclaim that we as a community must adhere to our religious customs and traditions and on the other hand, even consider the thought that the single annual event that unites Greeks across the spectrum could be abolished owing to an unwillingness to pay for it, without even mentioning the possibility of organising a campaign to preserve it. We are indifferent, slothful and complacent when it comes to maintaining our privileges but when faced with their ultimate effacement, the Greek community invariably rises to the occasion. In this, an election year, where a referendum question on recognising local councils in our constitution will also be added to the ballot, let us unite to ensure we are provided with the appropriate guarantees that our freedom of religion will be respected in accordance with the principles of multiculturalism. This procession, which has its origins in the luminous services that took place in Jerusalem where all the pilgrims would gather and was attested by the pilgrim nun Aetheria as early as the 4th century, must not be lost either through council insensitivity or ecclesiastical laxity and defeatism. Melbourne without an Epitaphios procession will be invariably the poorer for it, in fact, not to be countenanced. 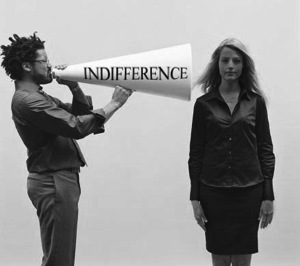 Let us discard the mantle of defeatism and indifference lest we, in the very near future, become the bearers of the Epitaphios of our own cultural diversity.